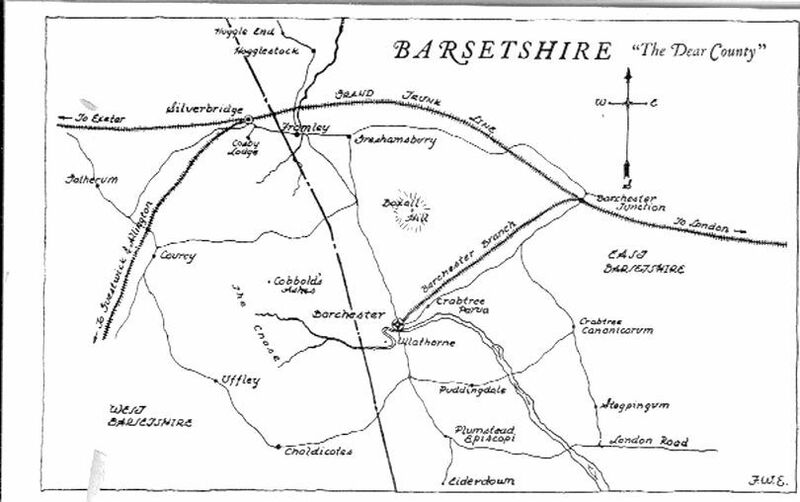 Barsetshire is a fictional English county created by Anthony Trollope in the series of novels known as the Chronicles of Barsetshire. The county town and cathedral city is Barchester. Other towns in the novels include Silverbridge, Hogglestock and Greshamsbury. The novel Barchester Pilgrimage (1935), and some of the episodes in Let Dons Delight (1939), both by Ronald Knox, refer to Barsetshire and its inhabitants. 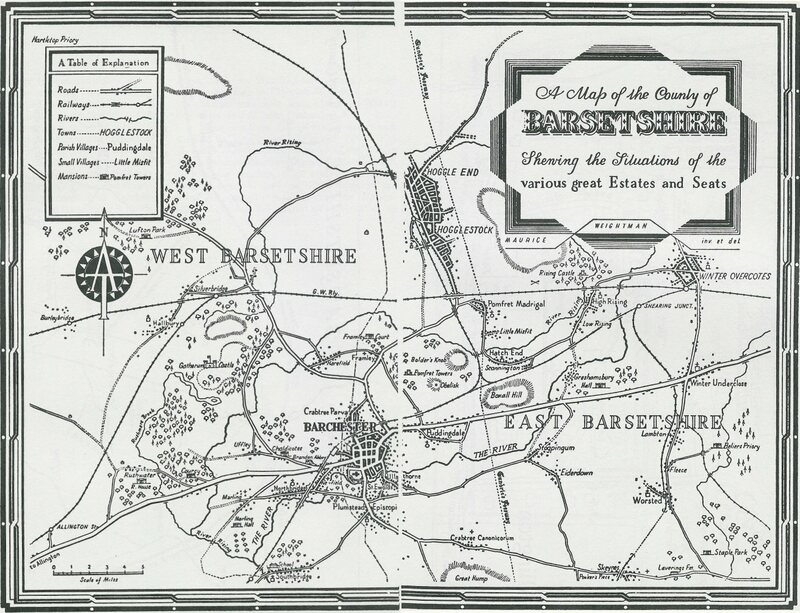 Barsetshire was also used as the setting for a series of 29 novels by Angela Thirkell, written from 1930 to 1961. Thirkell's stories blend social satire with romance.